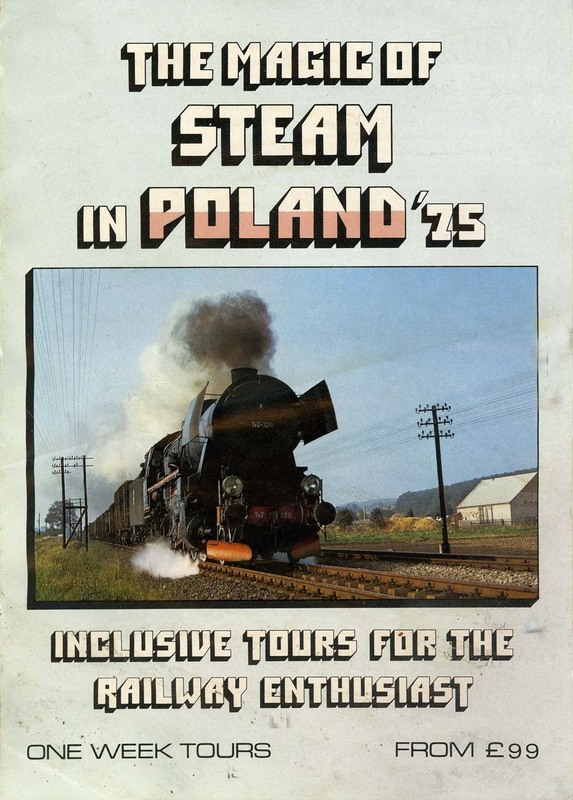 Planned to use 2-8-2 Pt47.65 and 2-8-2T TKt48.18, this was not an Enthusiast Holidays tour but we were pleased to support it in this 40th Anniversary year of “The Magic of Steam in Poland” which I started in February 1975 when the somewhat nervous Polish authorities permitted me to run (for TEFS) what was supposed to be a weekend “narrow gauge railway” tour, but which quickly became also a standard gauge tour visiting and photographing steam at the depots at Poznan, Bydgoszcz and Torun over the weekend of February 28th, a date which will however remain in railway enthusiasts’ memory also for the tragic Moorgate tube disaster which happened during that morning’s rush hour. The “Magic of Poland” tours became legendary and despite Martial Law introduced in December 1981 and only lifted several years later, there was hardly any line in the country which we did not traverse with steam, guided by PKP reps. such as “Stan” Gajda, Feliks, the late Jerzy (“George”) Wasilewski, and Andrzej Paszke, and from 1983 onward the tours became part of the portfolio of David Thornhill’s “World Steam” publishing empire – still operated however in partnership with the Fregata Organization, until Enthusiast Holidays took over completely in 1987, with support from the “Railway Magazine”. Friday 28th August: travel by 08:58 service train to Jaworzyna (hauled by an Eu07 electric locomotive – as UK Class 83 (AL3) for a visit to the museum (in the former steam shed, and containing an excellent collection of locos. including TKt48.173 “Sw. 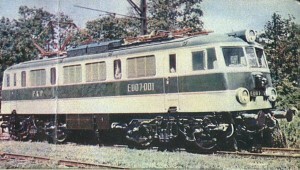 Barbara”, the first named steam loco. in Poland, named in a ceremony which formed part of an Enthusiast Holidays tour in 1992. Then a photo charter behind Tkt48.18. Our special will run with vintage passenger stock from Jaworzyna, through Swidnica, to Dzierzoniow Slaski, about 30km to the south, where a second museum has been established, and return to Jaworzyna with a freight. A second run will go out with the freight and return as passenger, following which we travel back to Wroclaw by the 17:34 service train, again with an Eu07. Partners can spend the day sightseeing in Wroclaw if the delights of the Tkt48 do not appeal. Participants, and particularly wives and girlfriends who might find this day rather a long one, might be interested to know that a Harvest Festival is being held this afternoon and evening at Kobierzyce, a village a few kms from Wroclaw. There is no entrance fee, and there will be bands, folk dancing and booths selling local food and drink, and at 22:00 spectacular firework display. There are service trains from Jelenia Gora at 12:06 to Wroclaw (arr. 14:35) and again at 17:41, arr. 20:23. These departures should connect comfortably with the first, and second arrivals of the special train at Jelenia Gora. From Wroclaw Gl. a taxi to Kobierzyce should cost no more than £5, and for the return journey we will ensure that you get taxis back to your hotel in Wroclaw, to ensure nobody gets stranded in Kobierzyce! Monday 31st August: An early (05:33) start today for our special (steam-hauled from Legnica) – Jaworzyna – Kaminiec Zablowicki – Nysa – Glucholazy (near the Czech border) – Nysa – Brzeg – and back to Wroclaw, arriving 18:00. The last evening is free in Wroclaw – perhaps for a good dinner and lots of the splendid piwo (beer!) before returning home to the UK the next day. Needless to say all the times given are as planned for the tour, but regular gricers will know that special trains can sometimes run late! The overhaul of Pt47.65 at Chabowka is dragging on interminably and it now looks likely that we shall have Ol49.69 as our principal motive power. Given the steep gradients we shall encounter, a diesel will probably be conveyed on some sections as insurance, but will only be used where absolutely necessary. 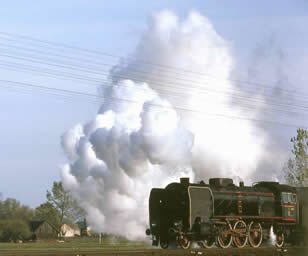 You may be interested to learn that the above programme involves over 1000 km behind steam across the four days.